Spring brings flowers, windy days, and the revival of vintage fashion trends! Vintage windbreakers are back in style to save us from fierce winds and dull outfits. Their eccentric designs let your individuality bloom along with the flowers. Settle into spring with something that serves an effortlessly cool and quirky look. 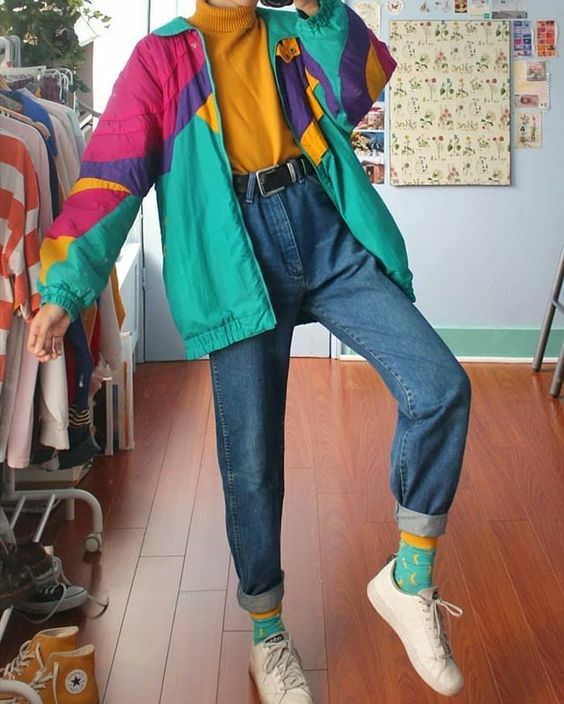 This month we saluted tomboy fashion and got mega inspiration to start raiding thrift stores again. Vintage windbreakers are best complimented with more vintage accents. Pair with this season’s barrel jeans for a Spring trend that will turn heads. Blue jeans further accentuate the carefree nature of these jackets. Make use of their vivid colors to create an whimsical look! 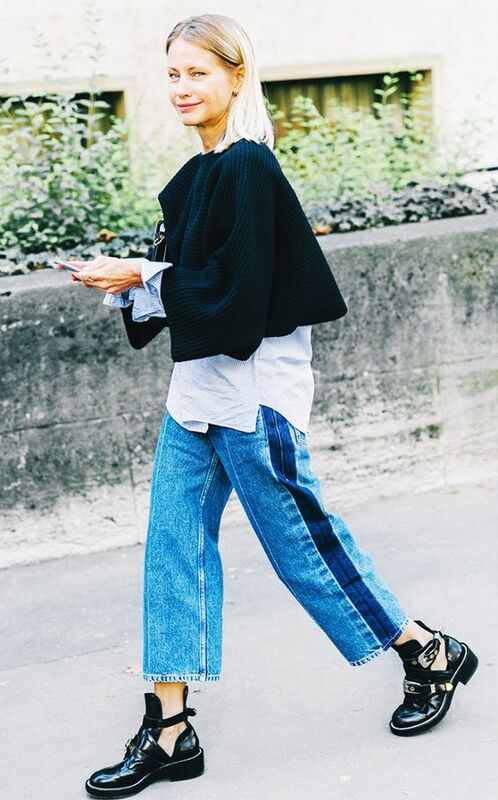 The fashion world is in desperate need of a break away from the chic and sharp looks. Windbreakers provide a light and cheerful respite from the monotony of modern fashion. They introduce a sense of playfulness into any outfit. Additionally, these are perfect for anyone who fancies color blocking. 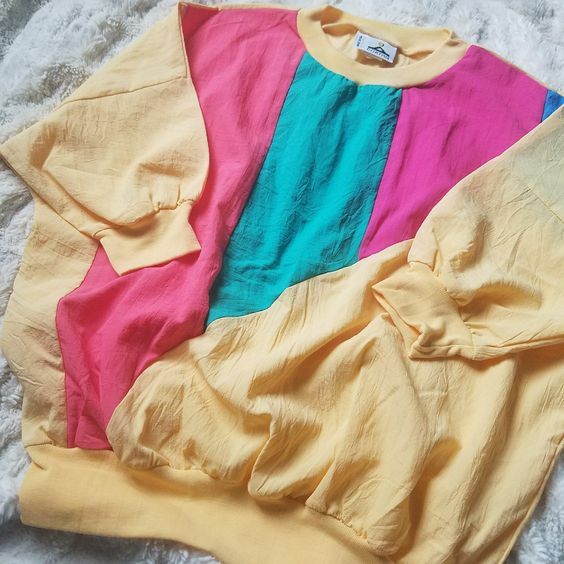 Soften up your vibe with some vintage charm! Brands used to have a more eccentric style for their clothing. 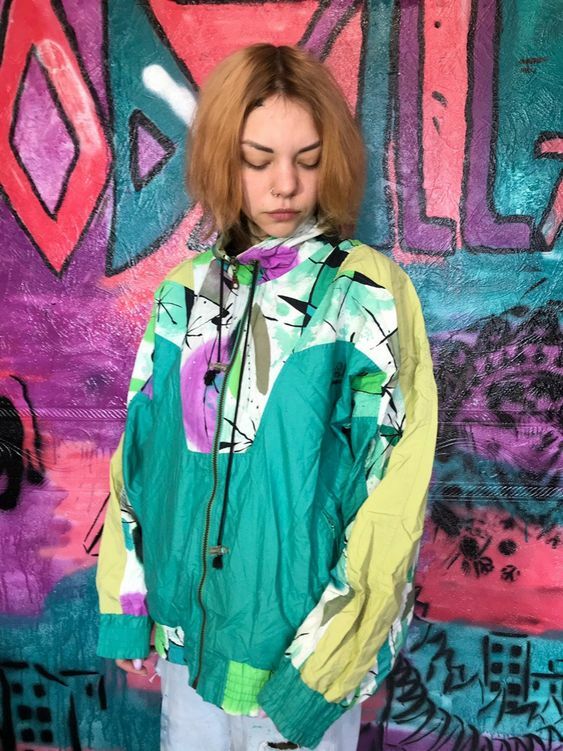 Branded vintage windbreakers turn heads without breaking the bank. All the notoriety of a name brand with the charm of the good ‘ole days. 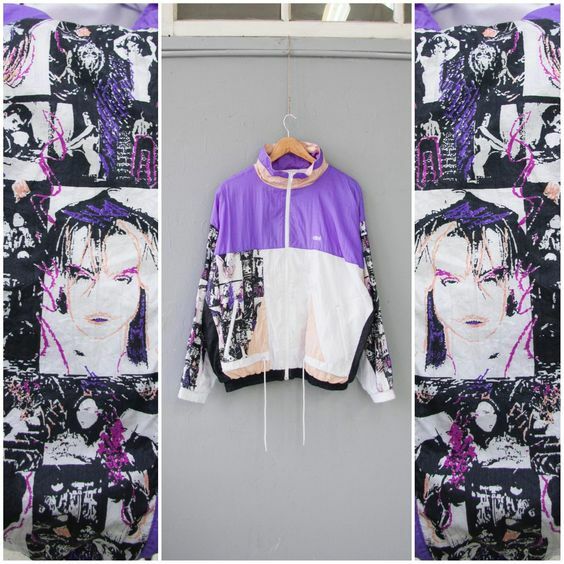 These jackets can be bought for heavily discounted prices at your local thrift shop. Spring weather can be moody and fitful. 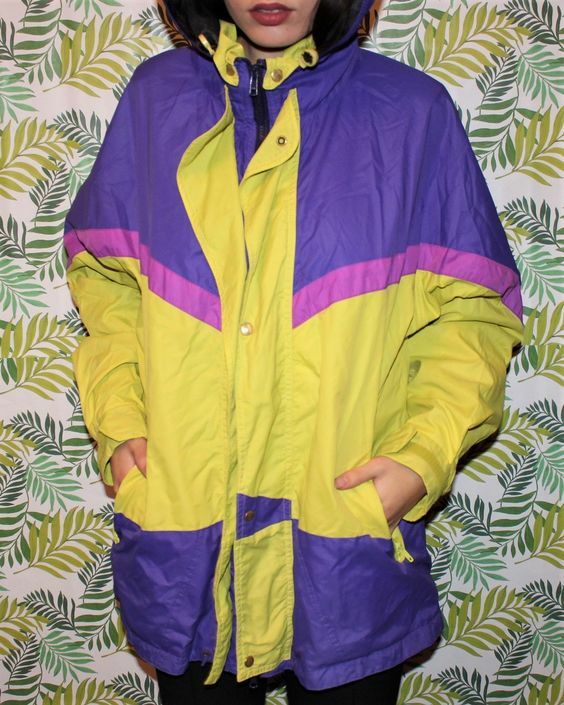 Vintage windbreakers are perfect for the turbulence of the season. For example, they protect you from chilly breezes and their light material stays cool in warmer weather. Additionally, if you loved our multicolored furs in the Winter, you might consider cooling down in a “rave jacket” for Spring. These jackets come in a variety of colors and designs that are guaranteed to make you the center of attention. 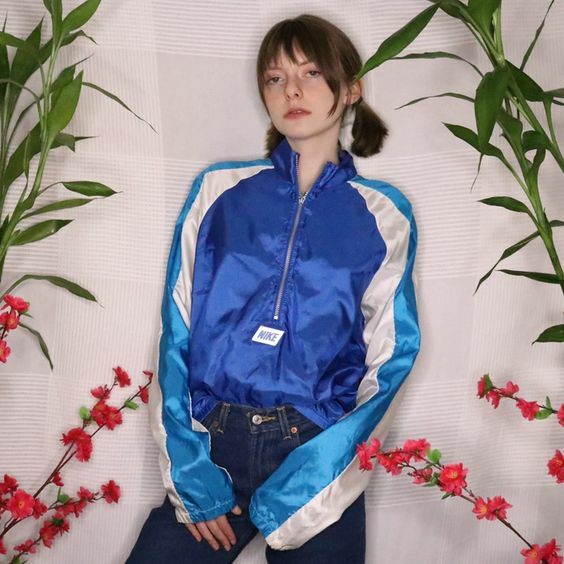 The peculiar patterns and visuals that vintage windbreakers provide resonate with maximalism. Let your personality shine through their exuberant color and unique concepts that today’s fashion simply doesn’t offer. Our love for embroidery carries on! 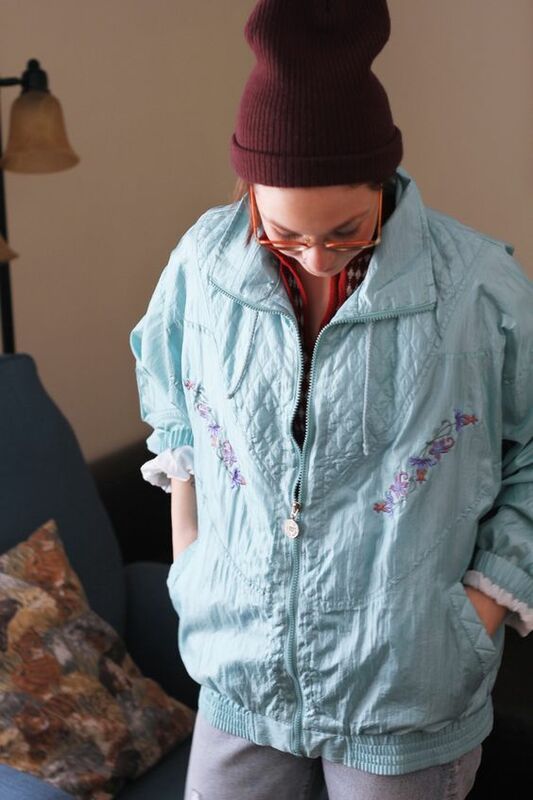 Vintage windbreakers with quilted panels and embroidered details are truly one-of-a-kind. The soft colors of the 80s carries a little romantic flavor into any outfit. On the other hand, if you’re looking for something flashier feel free to add some enamel pins for quirky retro look. Plunder your closest or your local thrift shop for this hot new Spring trend. Vintage windbreakers bring back a glimpse of an iconic era. 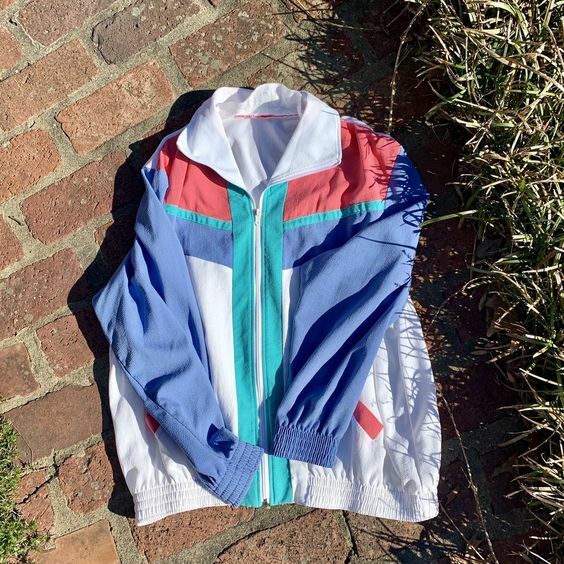 Breathe some life into your next look with a windbreaker that drips in “Saved by The Bell” vibes.